A Total Solution for printing date codes, shift codes, bar codes, lot numbers, etc as the labels are dispensed and applied. 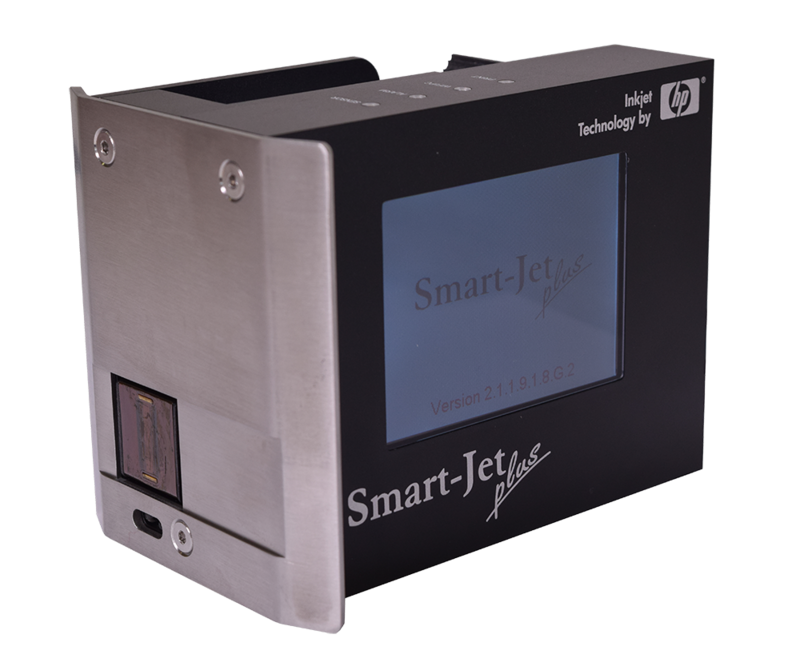 The Smart-Jet printer works with a wireless keyboard, tablet, or cell phone. The total system comes with the MSSC Smart-Jet Ink Jet Printer, TAL3100R Label Applicator, and two non-porous ink jet cartridges. Take-A-Label uniquely designed this applicator to accommodate a full range of round products, from 1/4" to 6.5" diameter, without the need for costly attachments or modifications. The 'open carriage' design allows the applicator to apply labels to products of virtually any length on the standard unit. Most tapered products can also be accommodated on our standard unit. 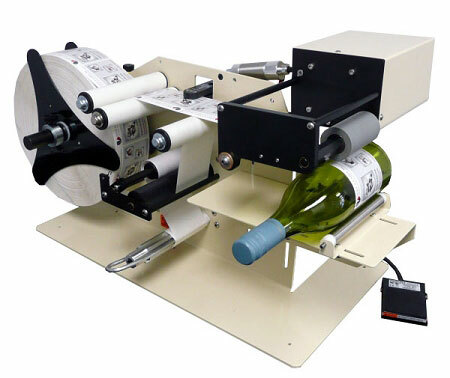 When flexibility and ease of operation are your production requirements, look at the TAL3100R for your labeling solutions. 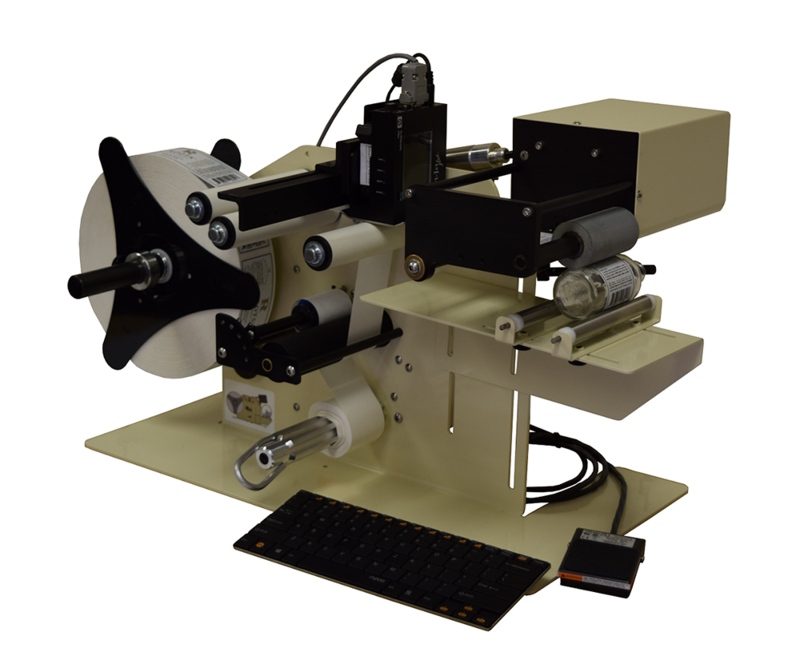 The Total Solution includes the Take-A-Label TAL-3100R, MSSC Smart-Jet inkjet printer, brackets, and two cartridges. Select from porous or non-porous cartridges (non-porous at a small increase in cost). MSSC Smart-Jet Plus printer attachment. For more info and specs click here. Click here for the pdf brochure for the TAL3100R. *Due to the nature of this unit the factory prefers to ship via LTL truck line to avoid damage in transit. Minimum Label Size: 1/2" x 1/2"
Core Size Diameter: 1 or 3"
Operators Set Up Manual in pdf format.